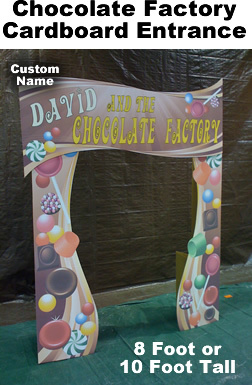 Chocolate Factory Entrance Cardboard Cutout Standup Prop - Dino Rentos Studios, INC.
Have your special guest's name on the Entrance. 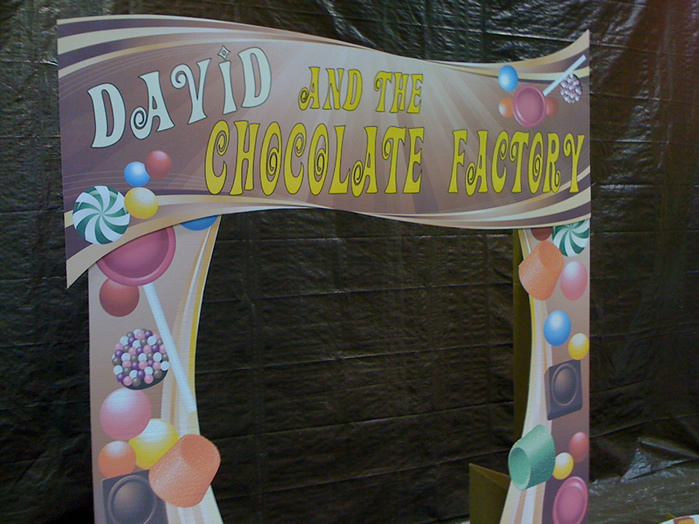 "Jonny and the Chocolate Factory," "Tonya and the Chocolate Factory." 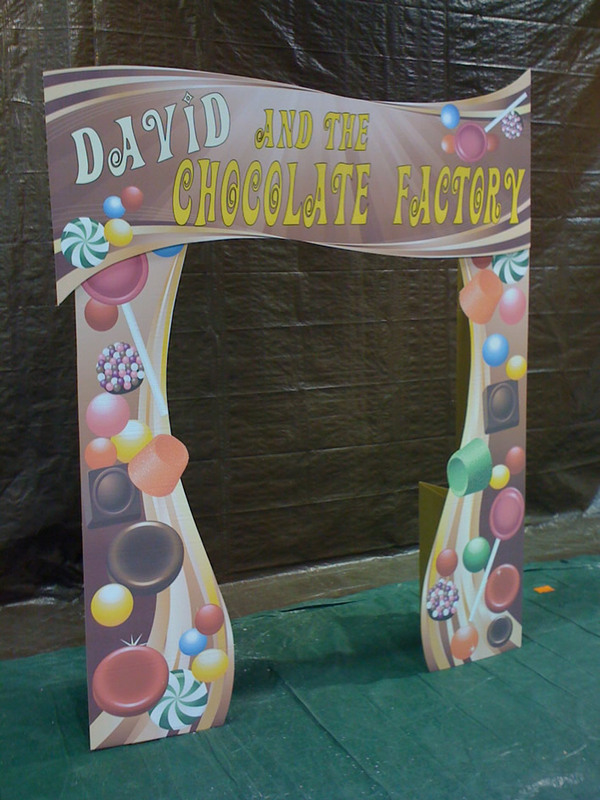 Any name you want "And the Chocolate Factory." Awesome flat carboard cutout - Print on one Side. Allows you to walk thru. Self-standing. Upgrade to Double walled cardboard for extra strength. See Below.